Treadmills are by far the most popular fitness machines, because they work by using the most natural motion that most of us have been doing since we were 2 years old: walking! However, they are more than a natural way to keep fit – you can potentially burn up to 700 calories per hour on this exercise machine. Calories burned on treadmills while walking or running is equal to calories burned on outdoor running or power walking – the only difference is that this type of exercise can be performed in the comfort of your own home, regardless of sun burns, gusting winds or rain storms outside. Treadmills are an excellent and popular indoor training equipment, which help you to help you lose weight, tone up, stay in shape or rehabilitate. If you want to buy a treadmill, you need to know what kind of brands exist, and at what costs so you choose one that is perfect for you and includes a suitable warranty. There are a number of treadmills that are on the market which can provide you with everything you need to keep fit or lose weight. For treadmill advice, we recommend you read our article "How to Choose the Best Treadmill". It has everything you need to know about buying a treadmill. What are the different treadmill brands? The NordicTrack brand design and manufacture the most popular treadmills in the world, selling the highest volume and the having the best quality and features available. And, they produce real results, as all those features keep you motivated and on the treadmill for longer. Featuring many integrated and online programs for you to maximise your workout session, the amount of features available on NordicTrack treadmills is uncomparable. Nordictrack lead treadmill manufacturing design, with innovative features that other brands eventually duplicate. All of their engineering is done in the USA, with manufacturing done in the USA and China. Best of all, all NordicTrack Treadmills feature commercial-grade cushioning that delivers joint protection. Enjoy stride comfort with the revolutionary protection these treadmills offer, and with the extra-long deck your body can respond with the ultimate in a fitness workout. Many NordicTrack treadmills can accommodate weight up to 180kg. Buying a NordicTrack Treadmill guarantees you superiority in equipment design and quality. Using the latest technology, the NordicTrack X9i Incline Treadmill allows you to run anywhere in the world with Android-powered internet connectivity and Google Maps™. 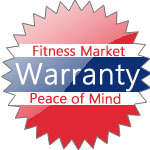 These treadmills are also protected with an extensive warranty for home and corporate use. Horizon Fitness is a brand of fitness equipment manufactured by Johnson Health Tech, one of the leading designers and manufacturers of fitnesss equipment. Horizon Treadmills feature quality components ensuring the longevity of your equipment during extensive workouts at home and in the office. Horizon treadmills feature power-saving modes, quiet, powerful motors and easy-to-use consoles. A highly-recommended brand. The Infiniti brand offers high-quality treadmills for your home, corporate and commercial use. Their extensive range of treadmills is reliable, strong and maintained by one of the best warranties available on the market today. As well as treadmills, the Infiniti range also includes cross trainers, exercise bikes and rowing machines – all great tools imperative for a good workout session. The Infiniti treadmill range has many features, depending on the model you buy. Infiniti Fitness Systems are especially renowned for their complete after-sales support which allows for peace of mind and effortless use regardless of your intensity of training. In addition, their features allow you to set your fitness goals, design your fitness programs and monitor your fitness results in the easy-to-use consoles. All of this range features large soft-touch buttons, multiple levels of power incline and time, calories, distance, heart rate, speed, incline and course progression, so you can track your performance and improvement. A York Treadmill is good value for your money – this brand provides simple, yet effective treadmills. 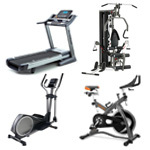 York also make many other fitness machines including elliptical cross-trainers, power towers and exercise bikes. A York Treadmill offers many different models. The base model is a good introduction for anyone starting out in the fitness world, and wishes to get fit by walking or jogging. They all provide users with a lifetime frame and motor warranty. For the most affordable treadmills Brisbane fitness beginners will appreciate, a York Treadmill is the way to go. The Proform Treadmill is one of the most sought-after treadmills. Reliable, stylish and comfortable, the Proform Treadmill suits all levels of moving comfort, from walking to jogging to running. The wide deck surface area accommodates small and larger people, and has a unique quiet belt. This type of treadmill features 2 learned workouts and a workout intensity meter, which indicates how hard you are working out. Like many other treadmills, the large LED main information displays distance, speed and exercise time so you can assess your achievements and compete against yourself. The Proform treadmill is the treadmill Sydney locals love and appreciate. Regardless of where you live in Australia, invest in one of these exercise machines and see why it is one of the most popular models on the market today. Being better equipped to know which brand of treadmill to buy for yourself is crucial in ensuring that you are being looked after by means of warranty, style and price. Remember, above all, a treadmill is an investment for life. If you require further information regarding Treadmill brands, we recommend you call us on 1300 557 7735.